Georgia drivers are well aware of the risks associated with drunk driving, but not all may understand that “drugged” driving is equally as dangerous. Driving under the influence of drugs is against the law in every state in the U.S. As a consequence of the opioid epidemic and the increasingly permissive state laws regarding marijuana use, drugged driving has become an increasing traffic safety hazard. The National Highway Traffic Safety Administration (“NHTSA”) has announced a new initiative to combat the public health hazard of drugged driving. NHTSA has scheduled a summit that will take place in March with the goal of opening a national dialogue and a call-to-action on the issue of drugged driving. Stakeholders such as key safety partners, state and local officials, data and policy experts, and law enforcement and criminal justice professionals, as well as toxicologists and drug recognition experts, will gather to take measurable steps to address the problem of drugged driving. 3% had a drug on the Fatality Analysis Reporting System (“FARS”) list in their systems. Under Georgia law, it is illegal for a person to drive while under the influence of any drug to the extent that is less safe for the person to drive: O.C.G.A. § 40-6-391 (2016). Law enforcement agencies throughout Georgia and the rest of the United States use blood and breathalyzer tests to measure a driver’s blood alcohol content (BAC). When a driver is impaired by alcohol, the nature of the impairment is readily visible: you can smell the alcohol, see the bloodshot eyes and witness the wobbly walk at a DUI stop. When a driver’s BAC is above 0.08%, he or she can be charged with drunk driving. One of the challenges with drugged driving is that unlike drinking and driving, which is socially unacceptable to many people, the public does not seem to have the same strong beliefs about drugged driving. Further, different types of drugs will impair a person differently, and some people tolerate certain drugs better than others, making it difficult for law enforcement to discern whether a driver is drug-impaired. 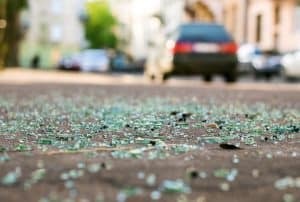 If you or someone you care about has been injured in a car crash caused by a drugged driver, our talented Georgia car crash attorneys at Harris Lowry Manton LLP are here to fight for the compensation you deserve. We will discuss your case together to go over your legal options. To set up a free consultation with an experienced car crash injury lawyer, complete our contact form or call us at 404-998-8847 in Atlanta or 912-417-3774 in Savannah.